← High School Student Turns Struggles into Action! 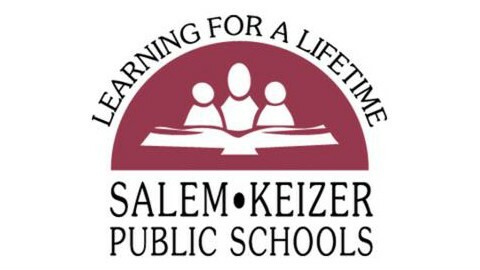 On Oct 10th Salem-Keizer school district held a statewide teacher in-service opportunity on dyslexia. Thank you Salem-Keizer for training teachers during dyslexia awareness month! Participants took part in an informational dyslexia 101 session, then, after lunch, had the choice of two different afternoon workshops: (1) learn how to use a multi-sensory approach to whole classroom instruction OR (2) the opportunity to participate in a dyslexia simulation to experience what it is like to be dyslexic at school. Morning session with Barb: This workshop explored the neurological components of dyslexia, as well as current and historical research. Participants were able to recognize the common signs and symptoms through formal and informal assessment and learn exactly how to support the dyslexic learner through appropriate intervention, accommodation and modification. Afternoon session with Alicia: This workshop demonstrated multisensory techniques for teaching students with dyslexia that simultaneously utilize the auditory, visual, and kinesthetic channels. Based on the Slingerland approach and experiences in an elementary school for children with dyslexia as well as middle and high school special-education settings, the workshop provided participants with the opportunity to learn simple orthographic patterns that empower students with dyslexia with the knowledge they need to unlock print. Afternoon session with Cheryl (simulation): This simulation is a hands-on experience that lets participants experience some of the challenges and frustrations that students with this language-based learning disability (dyslexia) face each day. The simulation provided a lively, thought-provoking experience for teachers, administrators, and anyone interested in better understanding the lives of individuals with dyslexia. In addition, early warning symptoms of dyslexia and the need for early intervention was discussed. Session with Barn Steinberg, M.Ed. Session with Alicia Roberts Frank, Ed. D.
Session with Cheryl Anthony, M.S.Ed.